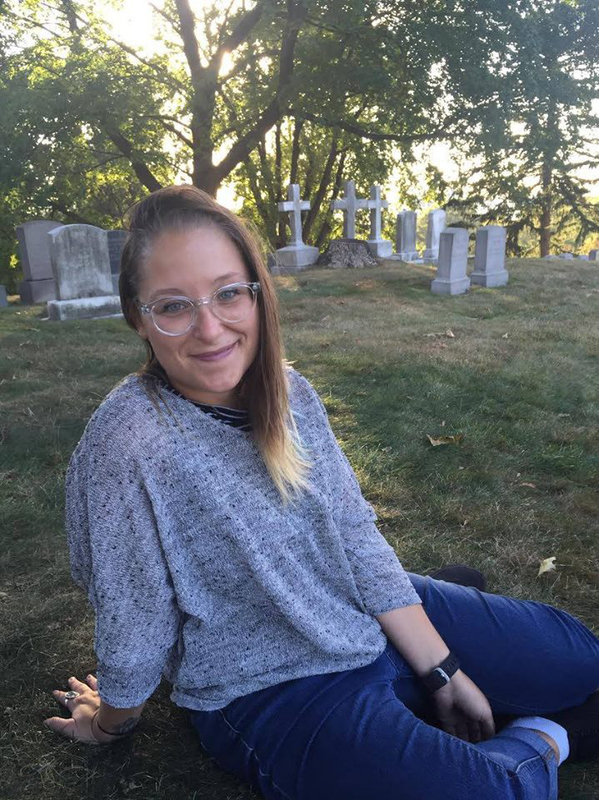 Jackie Sherbow is a writer and editor living in Jackson Heights. Her poems have appeared in Day One, The Opiate, and Bluestockings Magazine, and have been part of the NYC-based Emotive Fruition performance series. 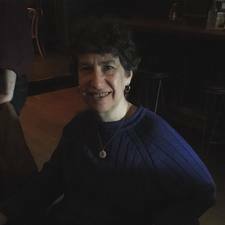 She works as an editor for two leading mystery-fiction magazines (Alfred Hitchcock's Mystery Magazine and Ellery Queen's Mystery Magazine) as well as Newtown Literary Journal, the literary journal dedicated to the borough of Queens. 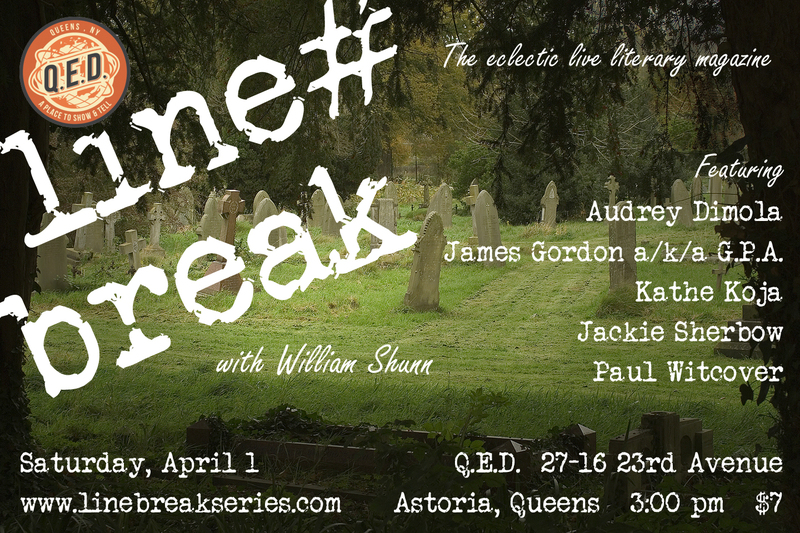 Please join Jackie and all our amazing readers for Line Break #6, Saturday, April 1, 3:00 p.m. at Q.E.D. in Astoria. Tickets are only 7 bucks! 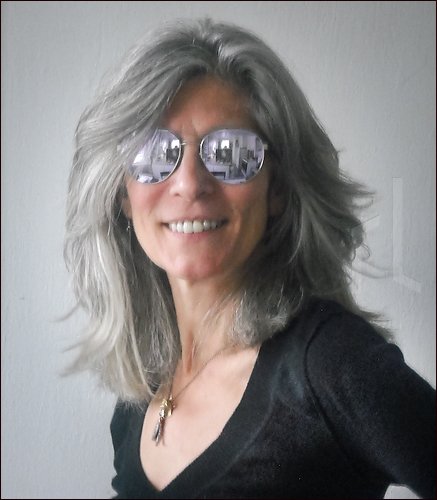 Kathe Koja's novels, including The Cipher, Skin, Buddha Boy, Talk, and the Under the Poppy trilogy, have won awards, been multiply translated, and optioned for film and performance. Christopher Wild, her 17th novel, is upcoming in 2017. Her short fiction has appeared in numerous year's best anthologies. She lives in Detroit, where she creates site-specific performance events with her ensemble, nerve. 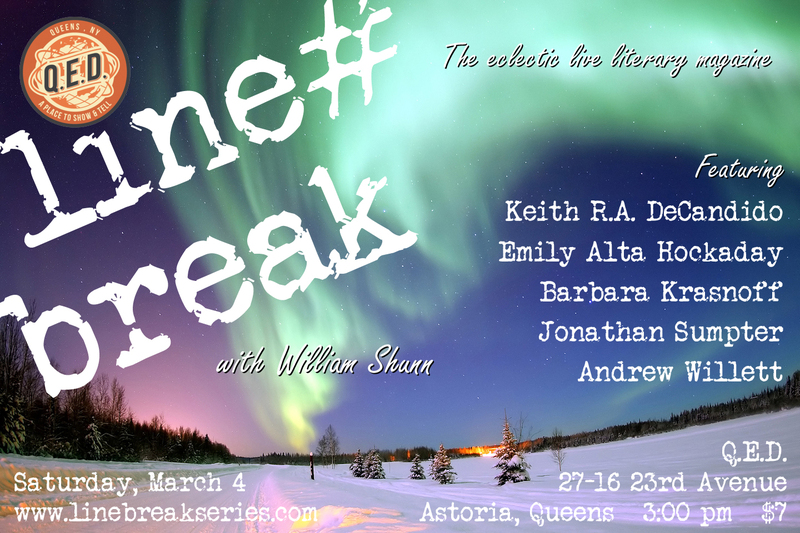 Please join Kathe and all our world-class readers for Line Break #6, Saturday, April 1, 3:00 p.m. at Q.E.D. in Astoria. Tickets are only 7 bucks! Saturday, April 1, 2017, 3:00-4:30 p.m. Thanks for making Line Break #5 a rollicking success! Giant props to everyone who turned out for our fifth regular episode of Line Break on Saturday, at beautiful Q.E.D. in Astoria, Queens. Just by showing up and giving us the gift of your attention, you helped make the afternoon bigger and better than it would have been without you. We also need to send out big thanks to participants Andrew Willett, Emily Alta Hockaday, Jonathan Sumpter, Keith R.A. DeCandido, and Barbara Krasnoff for their varied but uniformly excellent readings. And thanks to Q.E.D. for giving us the space and an opportunity to use it, and for so patiently working out our technical glitches when we had video problems. If you couldn't make it out on Saturday, please mark your calendar for Saturday, April 1, when we'll we back with our sixth issue, featuring Kathe Koja, Paul Witcover, G.P.A., and more! And finally today, we present below the video that comprised host William Shunn's editorial for March. You'll need to puzzle out the password in order to watch. Do you have the expertise you need? Reminder: Line Break #5 is this Saturday afternoon! Saturday, March 4, 2017, 3:00-4:30 p.m.
Andrew Willett was raised in the eastern suburbs of San Francisco, which felt a lot like the part of the Spielberg movie before the aliens and monsters show up. An editor at The New York Times, he's been a New Yorker for twenty-odd years and can't imagine living anywhere else. 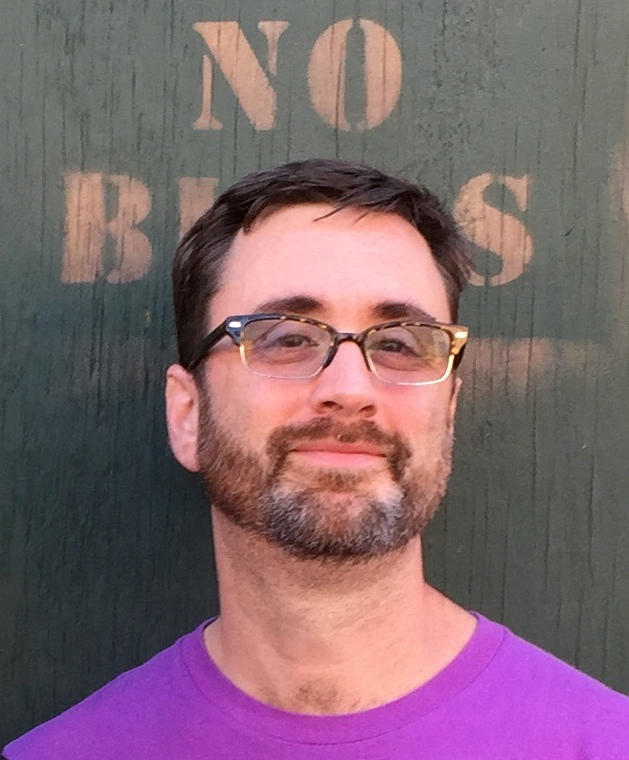 His fiction has appeared in the anthology Thoughtcrime Experiments and, most recently, the finalists' anthology from this year's Saints and Sinners Literary Festival. 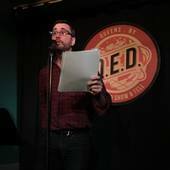 Please join Andy and all our talented readers for Line Break #5, Saturday, March 4, 3:00 p.m. at Q.E.D. in Astoria. Tickets are only 7 bucks! Jonathan Sumpter wrote his first novel, a tale about spies, when he was 11. Since then he has been laboring to write a second one that he'll be just as happy with. 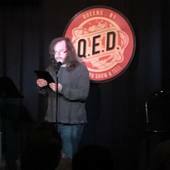 Please join Jonathan and all our outstanding readers for Line Break #5, Saturday, March 4, 3:00 p.m. at Q.E.D. in Astoria. Tickets are only 7 bucks! 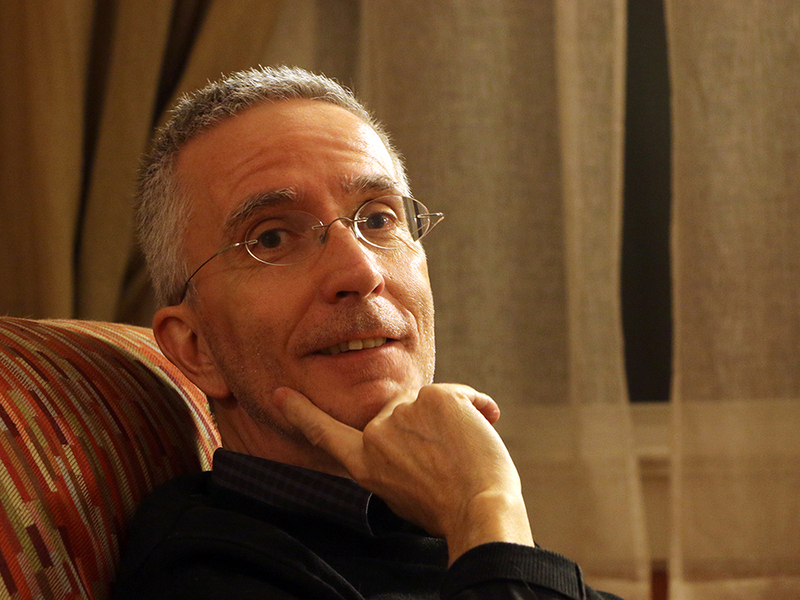 Keith R.A. DeCandido has been writing professionally since 1994, which means he's been doing it for 23 years. He could've sworn he was a young turk of publishing just yesterday, and is rather appalled to see that he is now a grizzled veteran, and is well on his way to being an old fart. Still, he's got more than 50 novels, almost 100 short stories, a mess of comic books, and tons of nonfiction to show for those 23 years. 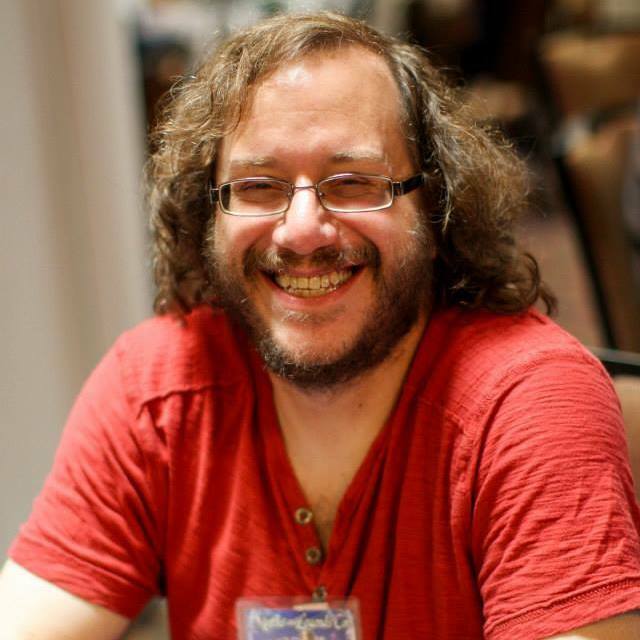 His recent and upcoming work includes the Marvel's "Tales of Asgard" trilogy of prose novels, including Marvel's Thor: Dueling with Giants, Sif: Even Dragons Have Their Endings, and Warriors Three: Godhood's End; the Stargate SG-1 novel Kali's Wrath; Mermaid Precinct, the latest in his fantasy/police procedural series; A Furnace Sealed, the first in his new urban fantasy series about a nice Jewish boy from the Bronx who hunts monsters; three novellas in the Super City Cops series, Avenging Amethyst, Undercover Blues, and Secret Identities; the short-story collection Without a License: The Fantastic Worlds of Keith R.A. DeCandido; and short stories in the anthologies Aliens: Bug Hunt, Altered States of the Union, Baker Street Irregulars Volumes 1 & 2, A Baker's Dozen of Magic, Joe Ledger: Unstoppable, Limbus Inc. Book 3, Nights of the Living Dead, The Side of Good/The Side of Evil, TV Gods: Summer Programming, V-Wars: Night Terrors, and The X-Files: Trust No One. In 2009, he was given a Lifetime Achievement Award by the International Association of Media Tie-in Writers, which means he never needs to achieve anything ever again. His rewatches of classic TV shows (various series in the Star Trek and Stargate franchises, as well as the 1966 Batman) have been appearing twice weekly on Tor.com since 2011. He's also a professional musician (currently the percussionist for the parody band Boogie Knights), an editor of more than 25 years' standing (working for clients both corporate and private), a second-degree black belt in karate (which he teaches to both children and adults), and probably some other stuff that he can't remember due to the lack of sleep. Find out less at DeCandido.net. 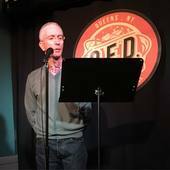 Please join Keith and all our outstanding readers for Line Break #5, Saturday, March 4, 3:00 p.m. at Q.E.D. in Astoria. Tickets are only 7 bucks! "It was 30 years ago today, that the Mounties hauled the kid away..."
Yes, our host and producer William Shunn celebrates a dubious anniversary todaythat of his infamous arrest on terror-related charges in Canada. We don't want to spoil too much, but if you click on the video below we'll let Michael Ian Black give away the punchline. Or, if you're so minded, you could pick up a copy of The Accidental Terrorist, the acclaimed memoir in which Bill explains what happened before, during, and after that fateful arrest. All ebook versions are on sale for only 99 cents, and prices are slashed on signed print editions. And please, come see Bill when he hosts the fifth issue of Line Break, on Saturday, March 4th, 3:00 pm at Q.E.D. in Astoria, Queens. Barbara Krasnoff has sold over thirty pieces of short fiction to a wide variety of publications and is working on a novel. Most recently, her story "Sabbath Wine," which has been nominated for the Nebula Award, appeared in the the anthology Clockwork Phoenix 5, while "The Ladder-Back Chair" will be in the spring issue of Mystic Delirium. Barbara is also the author of a YA non-fiction book, Robots: Reel to Real, and is currently Senior Reviews Editor for Computerworld. She is a member of the NYC writers group Tabula Rasa, and lives in Brooklyn. Her website is BrooklynWriter.com. 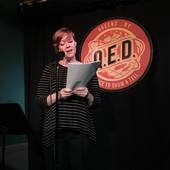 Please join Barbara and all our talented readers for Line Break #5, Saturday, March 4, 3:00 p.m. at Q.E.D. in Astoria. Tickets are only 7 bucks!